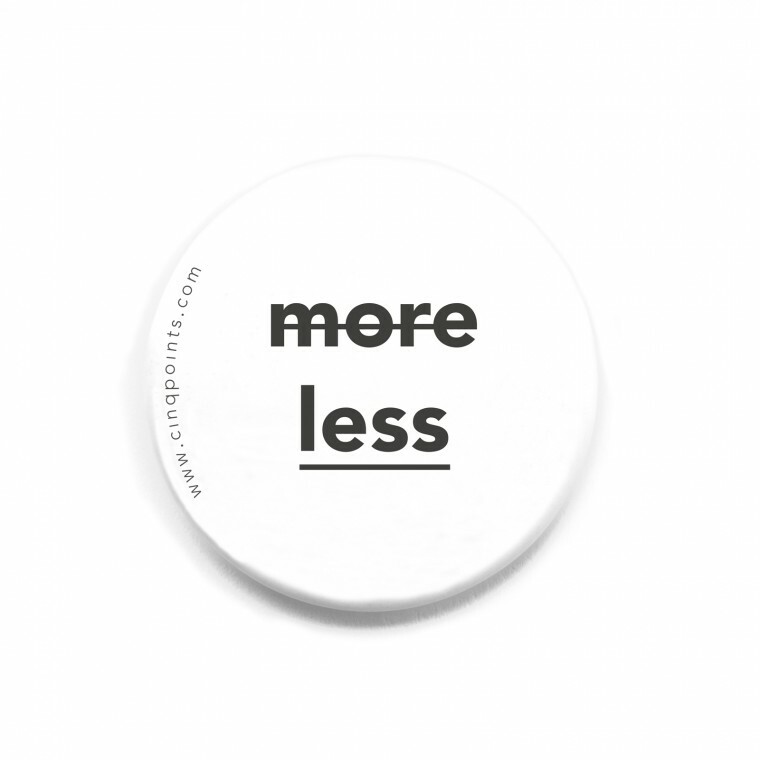 Less is more is a badge with the famous quote from the german architect Ludwig Mies Van der Rohe. 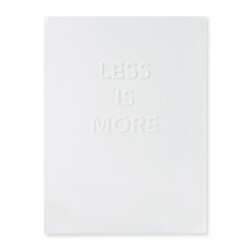 Probably the most known saying of the modern movement, this quote has become the symbolic sentence of minimalism, going further than architecture. A difficult meeting? 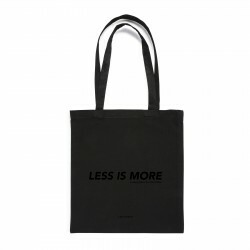 A serious message or less serious to pass? 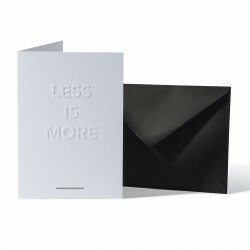 An opinion to show? Badges are obviously the good solution ! On a jacket, a bag or anywhere, you can pin up everywhere ! Say and wear architecture !